$189. 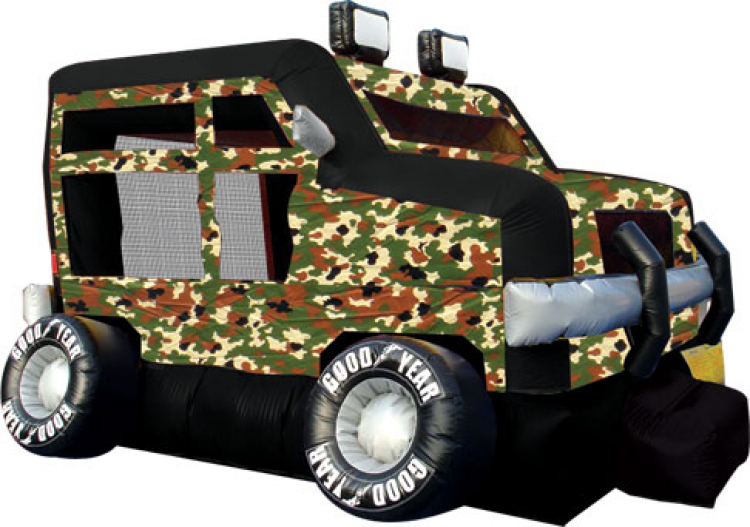 The Military Truck bounce house brings gigantic monster truck action to any indoor or outdoor party. The military truck offers plenty three-dimensional design, with grills, wheels and lights for a realistic feel. 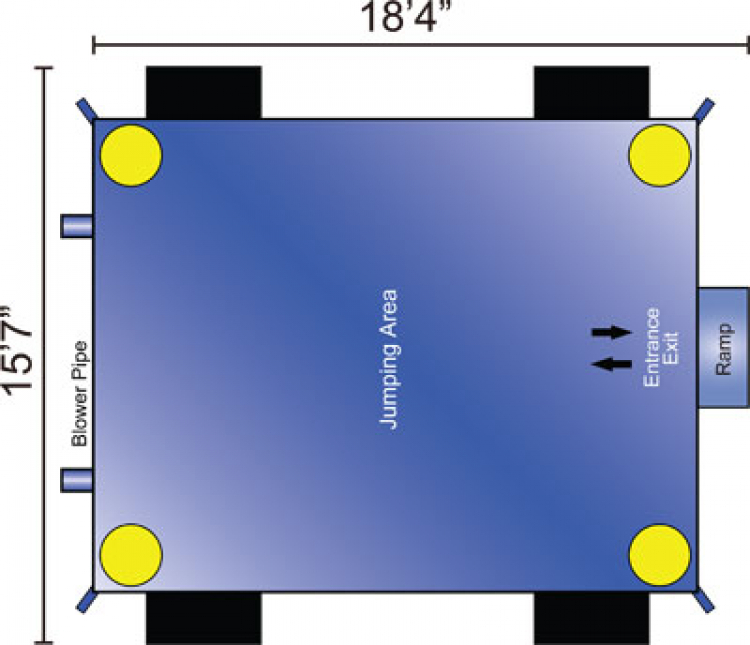 Perfect for a truck or sporting event or any activity where bigger is better, this Ninja Jump Military Big Wheels bounce house is sure to please everyone in the crowd.